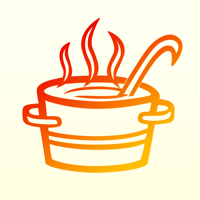 My own recipes - All your recipes in one place is an easy-to-use management for all your recipes. 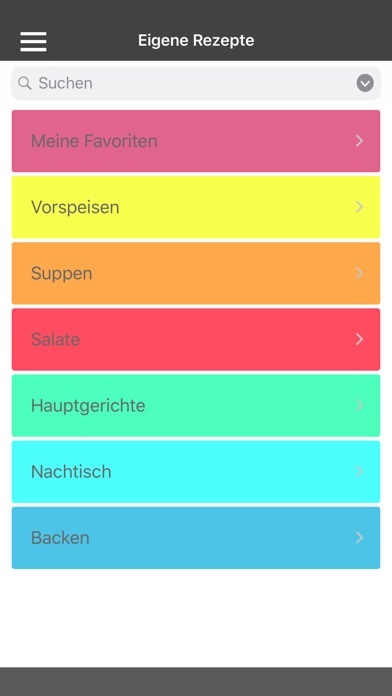 A simple modern design allows you to manage your recipe into categories. 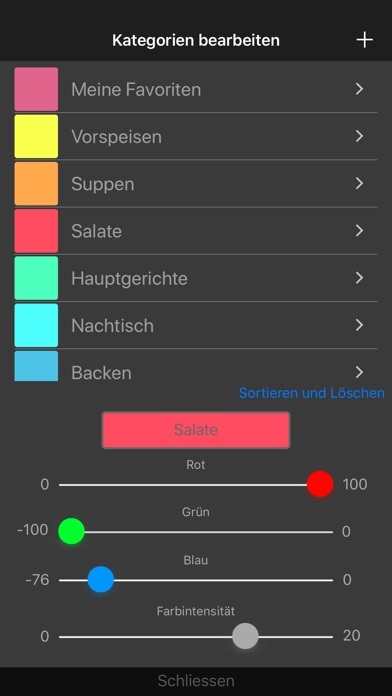 You can easily change and add categories. 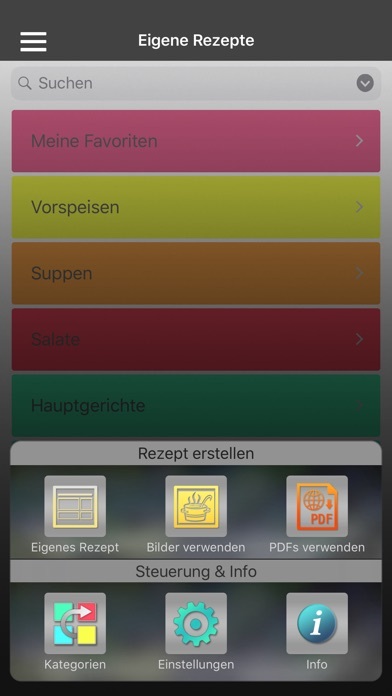 The app makes it also possible to use PDFs or pictures as recipes. 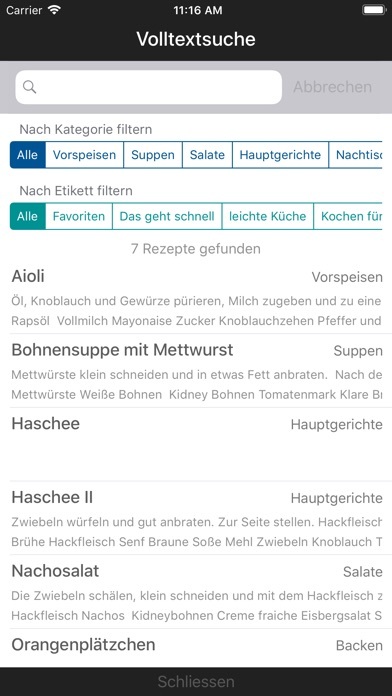 All recipes are managed together in the app and the build-in search allows you to find them quickly and easily. 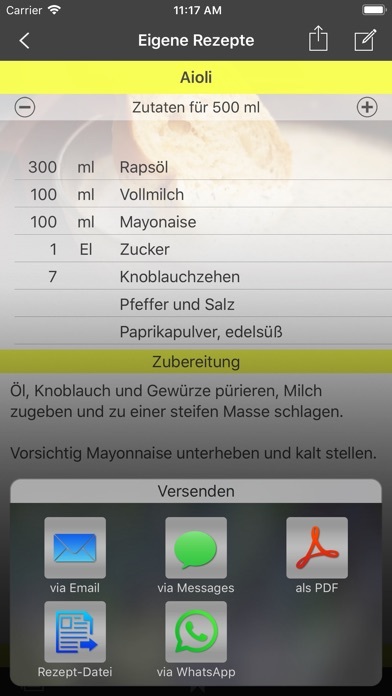 You can simply share your recepies by mail, iMessages or WhatsApp. 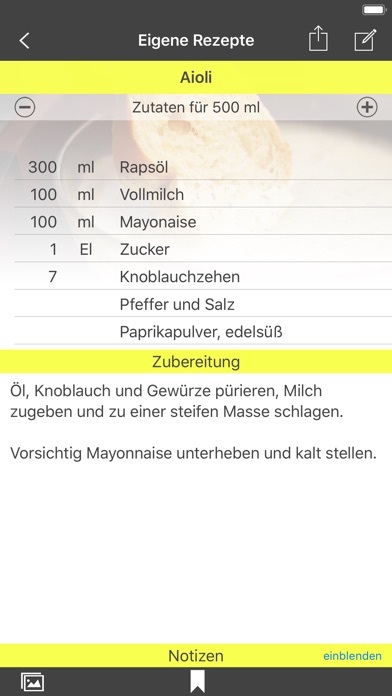 If the recipient also has the app, he can easily import the recipes. 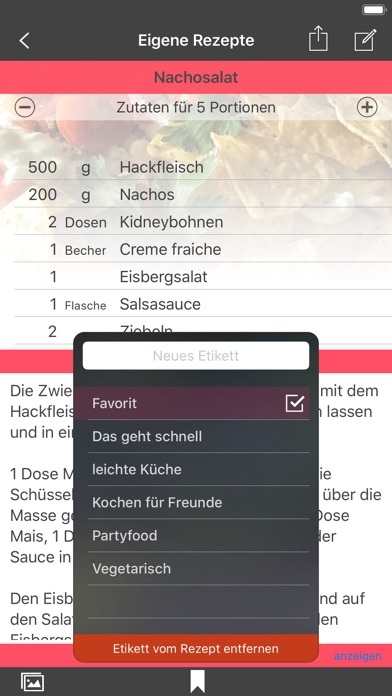 The built-in grocery list can be quickly filled with ingredients from the recipes and shared through the app. For example, with the noteapp or via email.